Vladfire first aired Andy Goodman in August of 2006, doing his finest impression of Mr Roboto. 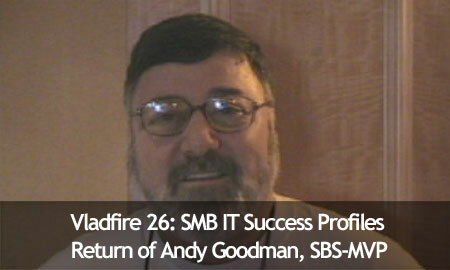 This time Andy Comes back in full stereo sound, 16:9 widescreen and Youtube-style player to talk about downsizing an IT practice. Check it out! Download: Album Art, Windows Movie (25 Mb), Quicktime (25 Mb).